Our mission is to provide the safest pregnancy, post-pregnancy, baby and toddler products that also contribute to a greener planet. Our commitment to the highest standard is the foundation of Belly Buttons & Babies. We stand behind our products, our service and our word. Website: Belly Buttons & Babies Inc.
Handcrafted artisinal soap inspired by life on a small dairy goat farm nestled in the Casimir Forest near St. Charles, ON. 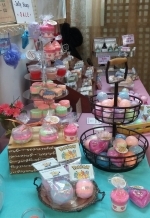 Creatively making all natural soaps and bath products. Louise is a seasoned Actor, Singer and Dancer known throughout North America. She authored the inspiring book called, From Transplant to Transformation – The Journey of a Mother Who Gave the Gift of Life Twice. She is also the creator, founder and CEO of a Natural and Holistic line of Skin Care, Body Products, Cosmetics and Perfume called LC Natural Health & Beauty. Her motivation to create this exquisite skin care line came from the experience of her first born child. Within the first few weeks of his life, it became evident that he needed a new liver or he would die. With no other donor in sight, Louise donated the left lobe of her liver for her son’s surgery when he was only 12 weeks old. The doctors told her not to expect any miracles as this type of surgery didn’t have a high rate of success for young recipients. Her son indeed made it through and continues to live a healthy and thriving life today. This experience urged Louise to want to know everything she could learn about how to keep her son’s body (and consequently hers), as healthy as possible. That is why she created her health and beauty line to be Safe-Effective-Good For You! Louise is a shining example of a multi-talented individual who has found a way to use all of her gifts to bless her life and the life of others. 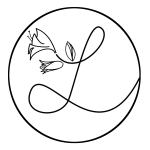 Les trois lys is a skin care company specialized in an all-natural line of creams, lotions, and balms. Based in Waterloo, Ontario, it originated from a desire to create skin care products with the with best of what nature has to offer, and is built on principles of simplicity, integrity, and ecological sustainability. Our Mission: To create safe products that work as they should and do it in a beautiful way. Natural bath, body, beauty and candle products. Hand crafted in small batches, in Ottawa ON. Dedicated to hand-crafting all-natural daily-use family bodycare products with locally sourced ingredients you can pronounce, and that the man of the house will use too! 100% natural handmade soaps, bath and body products made in Parry Sound, Muskoka. Freshly made with divinely scented essential oils. We are know for our luxury soaps and shampoo bars.